A man wakes from a coma speaking a fully formed but unrecognisable language baffling linguistic experts from around the globe. Directors: Benjamin Cleary, TJ O’Grady Peyton. Produced by: Assembly Stars: TJ O’Grady Peyton, Emmet Kirwan, Tiny James. Stars: TJ O’Grady Peyton, Emmet Kirwan, Tiny James. Winner at Galway Film Fleadh and Richard Harris International Festival Limerick. Directors: Sam Kenny, Steve Kenny. Stars: Barry Ward, Denise McCormack, Barbara Bergin. 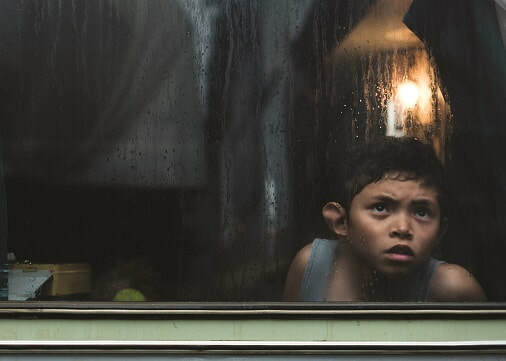 ​Living in a twilight world of sadness and silence, and squeezed into a tiny caravan with his grief-stricken father, an 8-year old boy finds a way forward. Stars: Lena Regan, Joe Folau, David Lolofakangalo Rounds. Winner of multiple awards in New Zealand, Japan, France and Australia. In 1973 Stanley Kubrick came to Ireland - and brought the British Army with him. A romantic comedy set behind the scenes of Kubrick’s Barry Lyndon (1975). Stars: Mark Lawrence, Brian Cox, Alan Curran. Winner at Richard Harris International Film Festival and the Waterford Film Festival. Lily, a girl with a secret, and navigating the treacherous waters of school life, is on the cusp of becoming a young woman. Stars: Clara Harte, Dean Quinn, Leah McNamara. International Gay and Film Festival.